If you are from Houston then you are sure to be a Rockets fan. 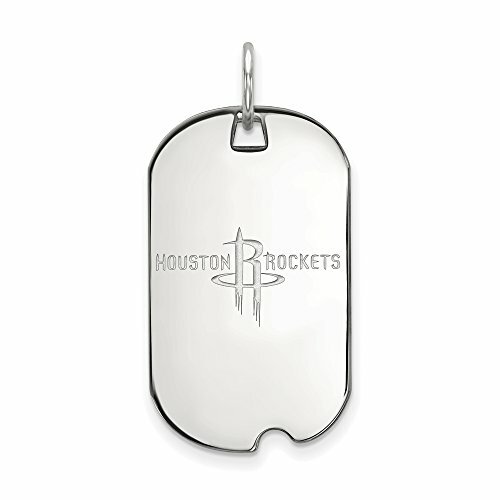 Celebrate your favorite team with this Houston Rockets pendant. We are a certified LogoArt retailer and this item is licensed by the NBA. It is crafted by LogoArt right here in the USA and is made from rhodium plated sterling silver. It is approximately 18mm (11/16 inch) in width by 30mm (1 3/16 inch) in length. The total length with the jump ring or bail is 36mm (1 3/8 inch).